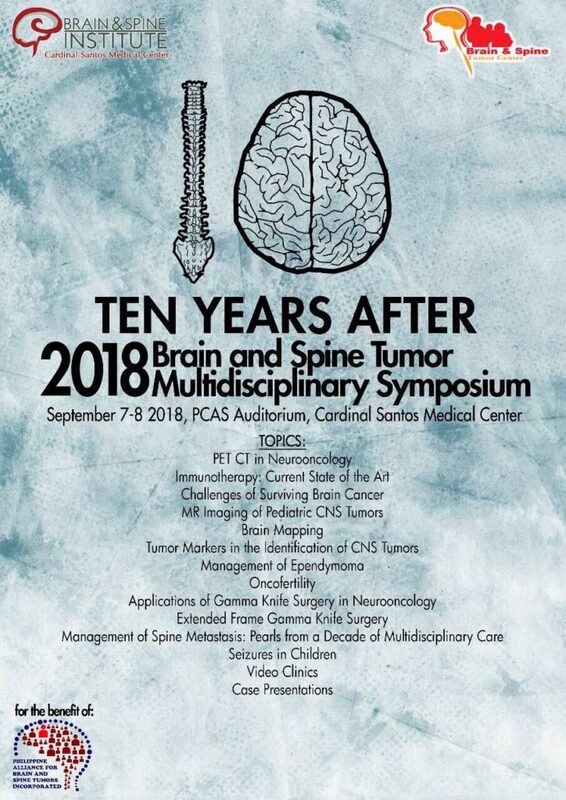 10th Brain and Spine Tumor Multidisciplinary Symposium: Ten Years After (September 7-8) - Academy of Filipino Neurosurgeons, Inc.
You are invited to attend the 10th Brain and Spine Tumor Multidisciplinary Symposium: Ten Years After. 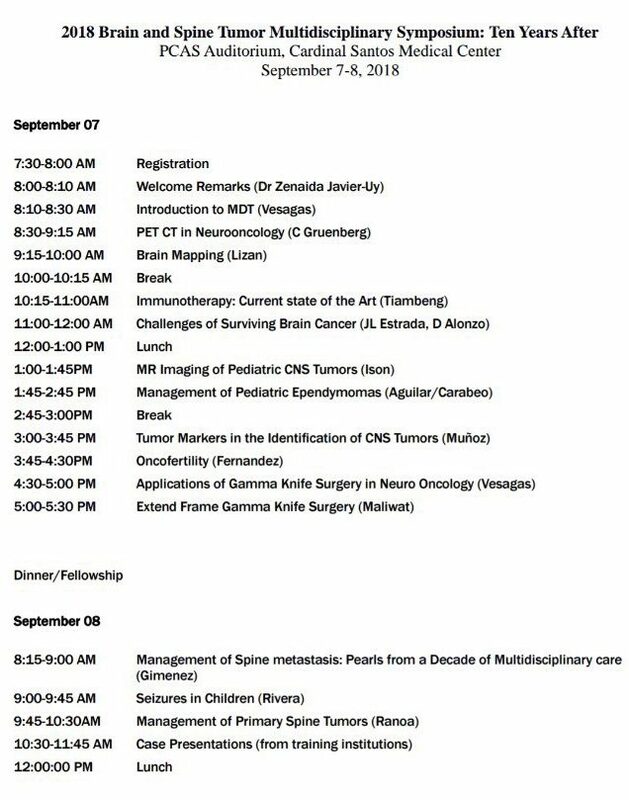 This will be held on September 7-8, 2018 at PCAS Auditorium, Cardinal Santos Medical Center. Itinerary for this event is listed below.